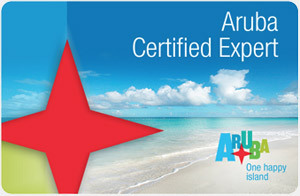 King Aruba is a full service timeshare rental company specializing in the Aruba Timeshare Market. Whether you are traveling with 2 people or a group of 40, we can accomodate your needs. Special discounts are available for large groups. Our rental process is very easy. Just give us a call with your preferred dates, and we will let you know if there is availability. We will then send out a contract and a electronic deposit, and then you will receive a confirmation from the Marriott. Alec Friedman is the Founder and CEO of King Aruba. He has been traveling to Aruba for over 15 years. His incredible knowledge of Aruba has helped him manage and grow his company year after year. Alec enjoys playing ice hockey and relaxing on the beach in his spare time. Jordan Cole is the COO of King Aruba. He manages day to day operations and is in charge of acquiring properties. In addition he handles large group bookings for weddings, large family vacations, and corporate giveaways. Jordan enjoys traveling, soccer, and the beach.